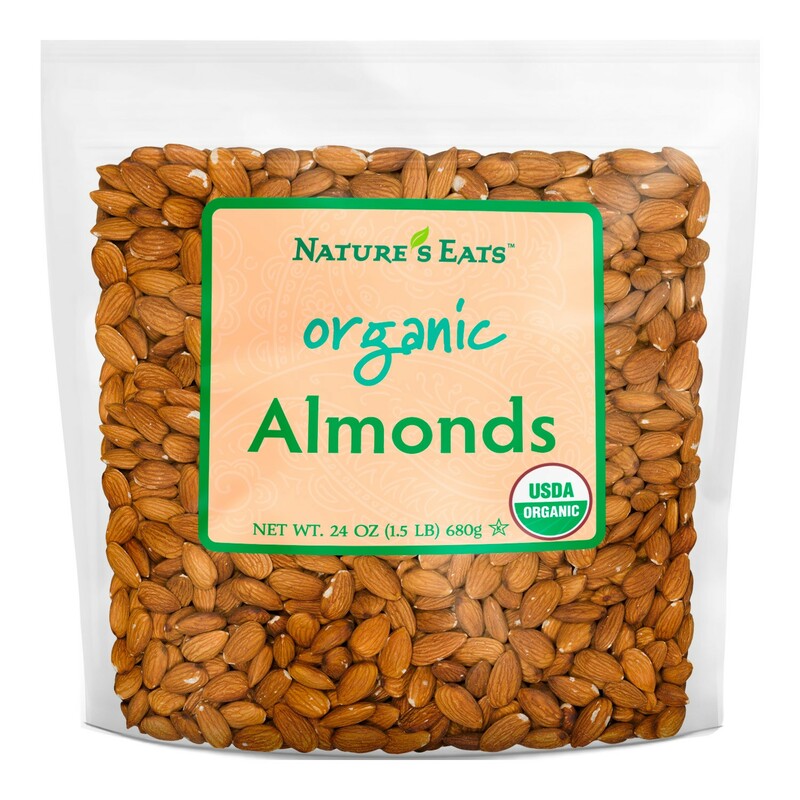 These organic almonds sourced from Spain and California, are delightful, crunchy and fresh, and are wonderful for sprouting, soaking, germinating, blending or enjoying in their naturally dried state. Make heavenly organic almond milk that stays fresher longer than pasteurized almond milk. Organic almonds are a complete food with enzymes and fats all intact. Almonds are a terrific source of vitamin E, magnesium, and the great mono and polyunsaturated fats in charge of bringing down LDL cholesterol. Almonds are also loaded with minerals like zinc, that help keep your eyes healthy. 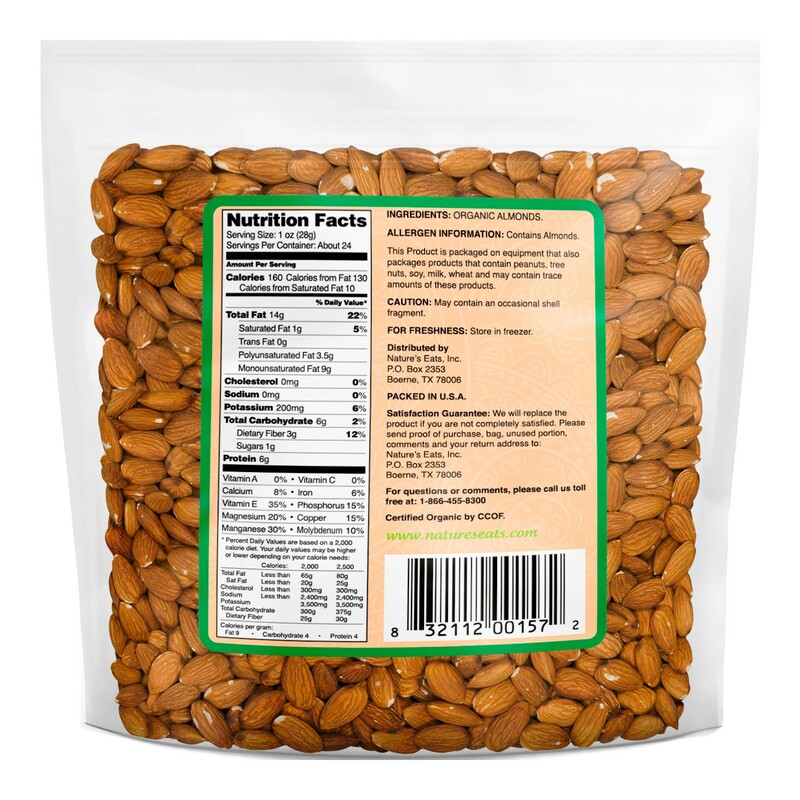 Buy organic almonds sourced from Spain and California. Wonderful for sprouting, soaking, germinating, blending or enjoying in their naturally dried state. Perfect for making heavenly organic almond milk.